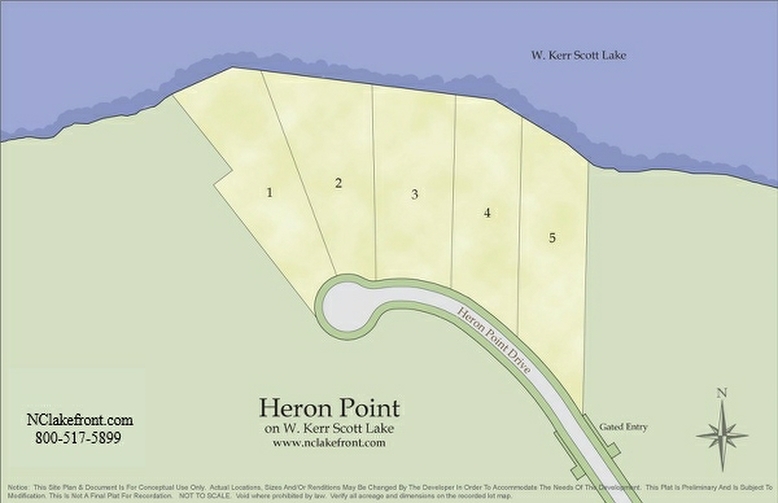 Heron Point is located approximately 8 miles West of Wilkesboro and about 3 miles North of Highway 268. It is nestled in the foothills of the Blue Ridge Mountains located between Asheville, Greensboro, Boone, and Charlotte, with quick and easy access to Highways 421 & I-77. Wilkes County has a population of approximately 65,000 people, with the towns of Wilkesboro and North Wilkesboro having a combined population of about 8,000. From Wilkesboro you can take day trips to the beach or go snow skiing in the mountains. With an average temperature of 77 degrees in July it’s no wonder this region has become so popular. Entertainment – Movie theaters, shopping malls, walking and fitness trails at parks on Kerr Scott Lake, health clubs, museums, live theater, local college sporting events, and of course, boating activities on the lake. 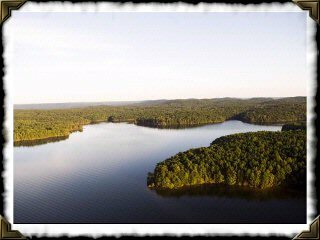 I want to take a moment to thank you for your help and assistance identifying not one, but two beautiful lakefront properties for us in North Carolina . Your professional, no pressure approach to assisting us every step of the way was refreshing and welcome in an often high pressure world. When I started looking for lakefront property on the internet I was happy to find your website with information on lakefront property on Kerr Scott Reservoir. You answered all my questions, made it easy to understand what is involved in purchasing in a new private community, and got me a great deal on the property. You helped me identify a local attorney who helped us (which is important when you are far away in New Jersey like we are), and you made the transactions pain free. Thank you. I would recommend your services to anyone interested in looking at beautiful properties in the North Carolina area. You tell it like it is, outlining the positives and potential concerns of each property, and you made it easy to do business remotely. Thank you, again, and I will be happy to pass your name along to anyone I know who is interested in North Carolina property.